Acadian Genealogy Homepage; List of imprisoned Acadians at Gran Pre. The responsibilty of implementing Governor Charles Lawrence's Acadian Deportation Orders, were assigned to Captain Alexander Murray and Colonel John Winslow. Following is a list of Acadians imprisoned by the British at Grand Pré (exactly as written by Colonel John Winslow), but in alphabetical order. The spelling is exactly as written by Winslow. Is it any wonder we struggle to find our Roots??? 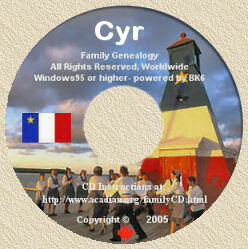 I am grateful to Joe Crochet who provided the above-noted information for the "In Search of Our Acadian Roots" CD-ROM (now available in Windows Version).